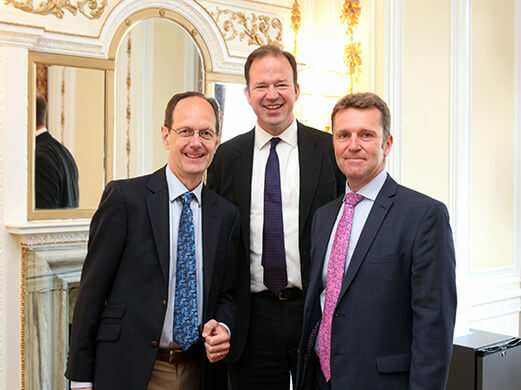 The new Parliamentary Under Secretary of State for Transport, Jesse Norman MP, has made his first public appearance in his new role alongside Transport for the North at the inaugural Northern Transport Summit that the organisation is partnering. Following his presentation, Mr Norman met with Transport for the North’s Chair, John Cridland; and Chief Executive, David Brown. The three discussed the future of transport infrastructure in the North of England, and its important role in driving regional economic growth. “What we have achieved here at Transport for the North is a testament to how all of the areas across the region have been able to come together and drive the North forward. “TfN has a clear mission to transform the North’s economy by intelligently developing our transport infrastructure. Both John and I were delighted to discuss with the minister how we can work together to ensure this mission becomes a reality. Last week, TfN published the evidence that will inform its Strategic Transport Plan. The first of its kind, the Plan is being developed to transform the North’s economy through investment in the region’s transport infrastructure. It could help create close to a million new jobs and add almost £100 billion to the UK’s economy. The Position Statement explains how the Plan will add value for people and businesses across the North and aligns it with economic and transport plans at both a regional and national level. The Plan will be used to inform the agendas of the Department for Transport, Highways England and Network Rail with regional intelligence. TfN is establishing itself as a leading-edge organisation in preparation to become the first Sub-national Transport Body in England by the end of 2017.